Clothing:Youth-Clothing YOUTHB-252017 https://www.warplane.com/images/Products/YOUTHB-252017-S.jpg Youth t-shirt featuring the Canadian Warplane Heritage Museum's B-25 Mitchell Bomber. 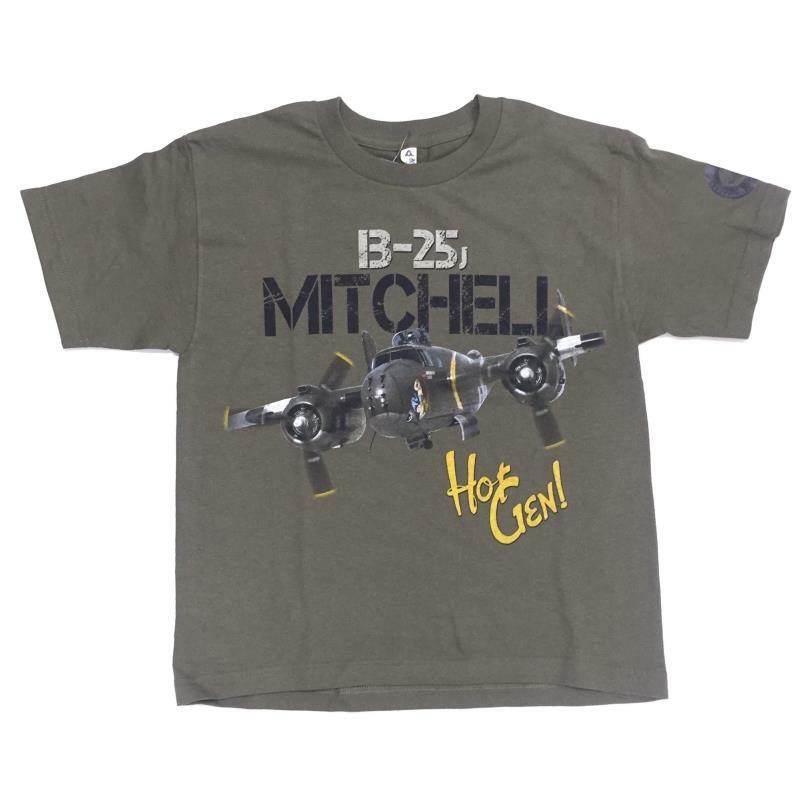 Description: Youth t-shirt featuring the Canadian Warplane Heritage Museum's B-25 Mitchell Bomber. Additional Info: 5.5 oz (9.1 oz/ly, 186 g) 100% cotton Set-in rib collar with shoulder-to-shoulder taping. Double-needle sleeve and bottom hems. Preshrunk to minimize shrinkage.